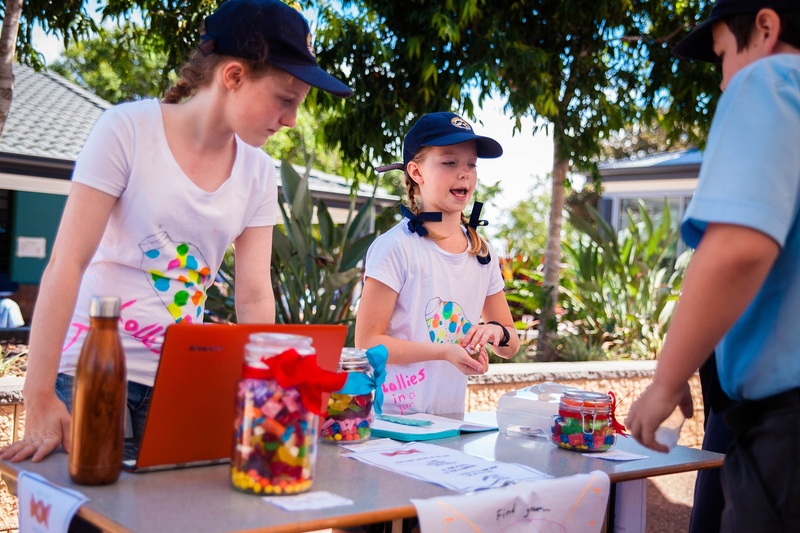 The Year 6 cohort organised the 2019 Sheldon College EKKA, or SHEKKA, to help raise money for the charity Dolly’s Dream. Students across the Middle and Senior Colleges came to support the fundraising initiative, engaging with the differing activities to earn prizes, whilst also purchasing delicious treats on offer. “Students ran the entire event. It’s a pleasure to work with the students on such a wonderful student-driven event. They were responsible for coming up with the event elements from preparation, installation and managing their individual stalls. 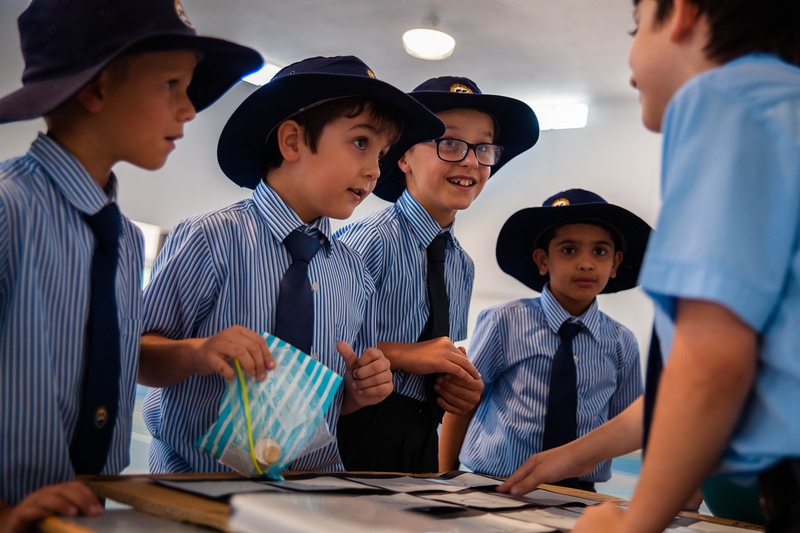 I am very proud of their efforts,” said Year 6 Year Level Co-ordinator Mr Hugh Freese. 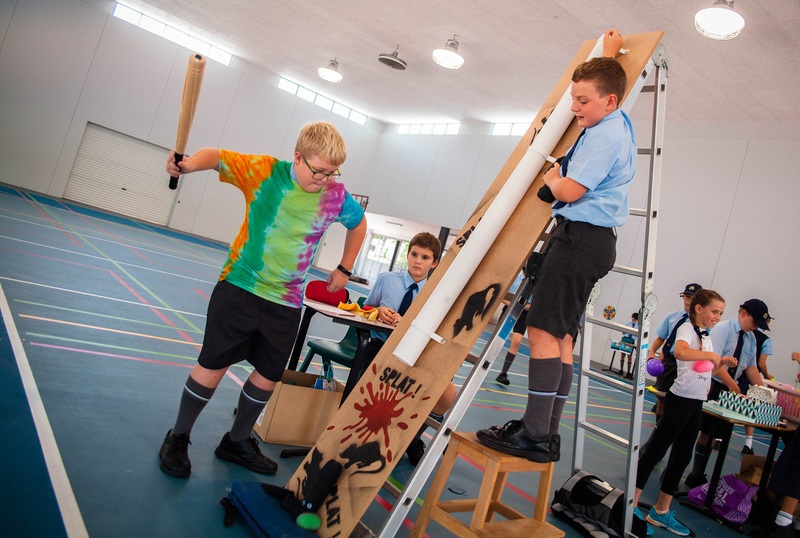 The pavilion was transformed into a marketplace with stalls and activities ranging from raffles, carnival-style games, video game competitions and a bake sale. 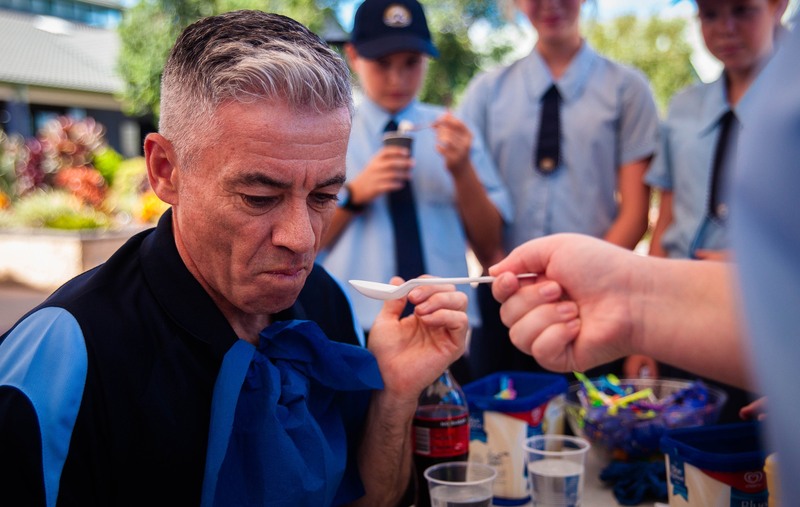 Mr Rick Samuels, Director of Community Engagement participated in one of the less palatable activities – letting Students feed him their own combination of condiments to raise money for their charity efforts. When faced with a combination containing mustard, chilli and caramel sauce, Mr Samuels’ only comment was, ‘I really don’t like mustard’. What a good sport he was. All monies raised were donated to Dolly’s Dream. This not-for-profit is devoted to the empowerment and education of the community to prevent bullying and cyberbullying.